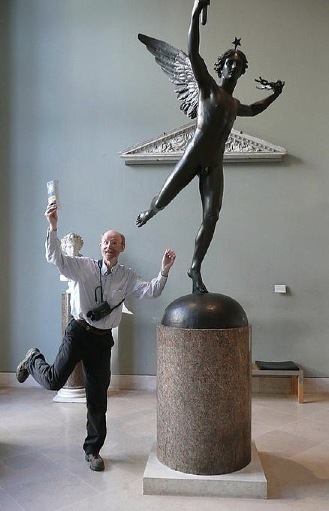 I cracked up when I saw this photo… It is of my co-worker Mike who just returned from a multi-week vacation to Paris where he enjoyed among other things visiting the Louvre. I bet he’ll be enjoying his travels even more knowing he won’t have to come back to work when he gets home! Run for your life Mike!!!! Happy Retirement! Sorry but I can’t promise any brain surgery before I leave. But just think of all the things you’ll be able to blame on me after I’m gone. Oooo how exciting! Great pic! LOL!! Hi Erin!!! It’s great to hear from you. We miss you here!!! Doesn’t it look like Mike is having just way too much fun? !